The world has a Shadow, an invisible reflection where archetypes are made solid. 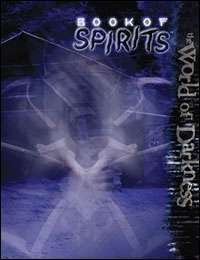 Too often, the spirits of the Shadow slip unseen through the cracks in the wall between worlds, manipulating or possessing luckless humans to alien ends. Are you willing to look into the broken mirror and see what awaits? How much use would this be to a person whose main game line is Geist? This title was added to our catalog on May 30, 2007.